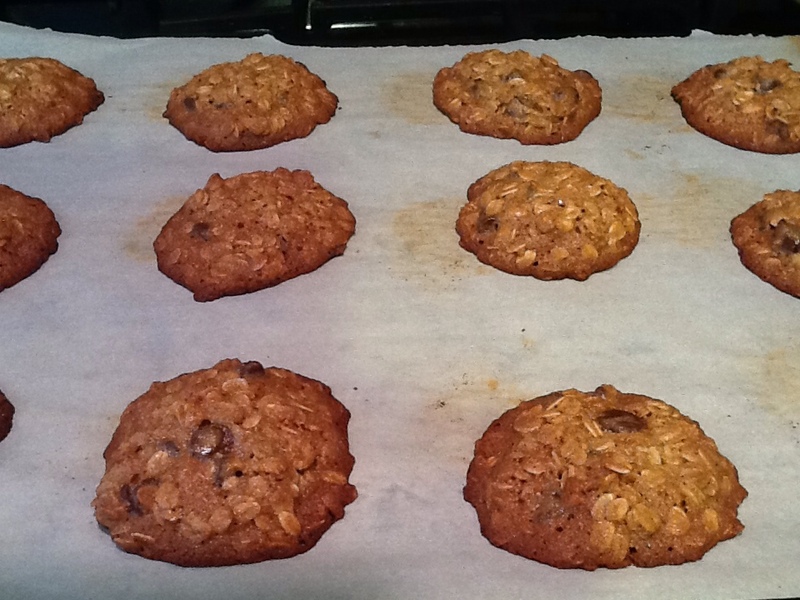 Cookies…By Popular Demand! | I Am Not A Restaurant! Mar9March 9, 2013 • By Betsy Karetnick • This entry was posted in Dessert, Dish of the Day, Recipes and tagged agave, chocolate chip, comfort food, cookies, dessert, Domino's, oatmeal. Bookmark the permalink. ← Greens Are Good. I Mean It! I hope to hang with you too! Miss the mornings from SiriusXM. Do you think you have to use both types of Agave, or can you get away with only one type (I have one in the house…). Thanks! I think it would probably be fine. Enjoy! A recipe i love also includes cranberries and both dark and white chocolate (and a dash of cinnamon). Am not usually a white chocolate fan but it’s a great combination. Thanks Betsy!